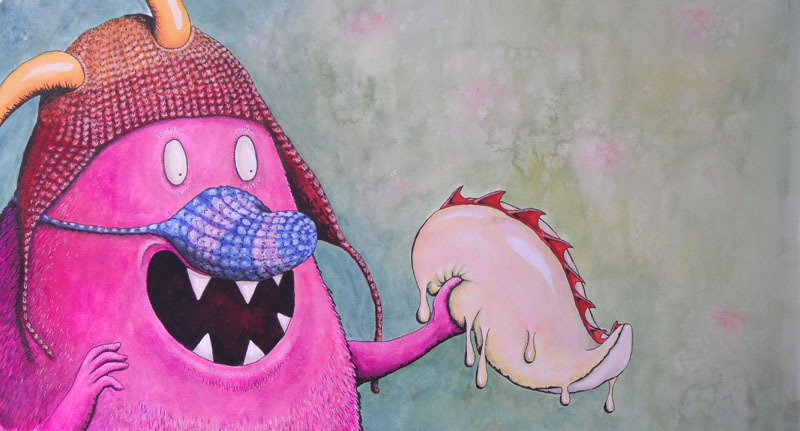 Picture books by Carey F. Armstrong-Ellis are filled with hyperbole and delightfully disgusting detail. 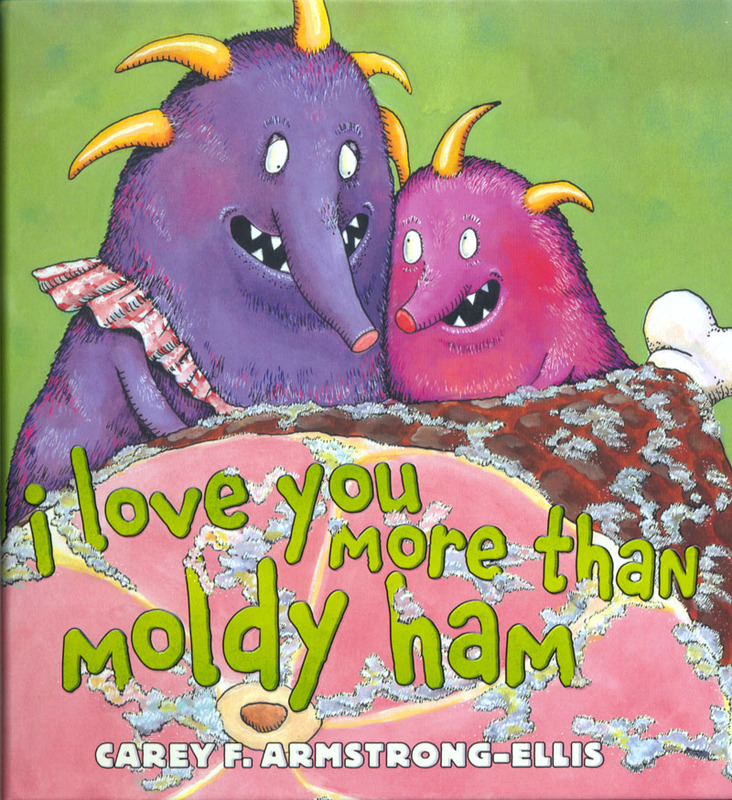 Her most recent book, released August 4, 2015, is I Love You More Than Moldy Ham, a heartwarming ode to mom and repulsive foods. You might call Carey’s illustration style refuse rococo, which is characterized by a charming over-the-topness. She has strayed afar from the path her biology undergraduate and zoology post graduate work were supposed to lead: to a lobster farming business of her own. I met Carey when she took a course in writing and illustrating children’s books at the University of New Hampshire, which I taught. 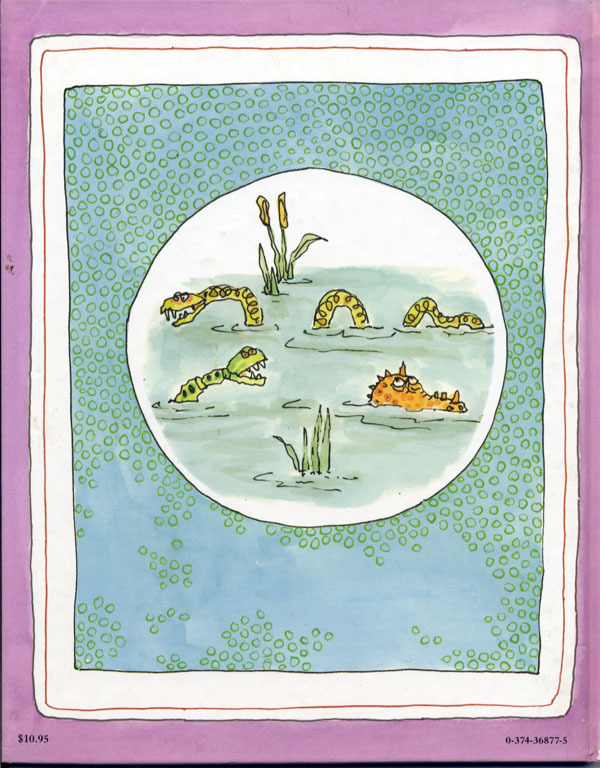 The picturebook dummy she worked on in class became her first published book four years later. 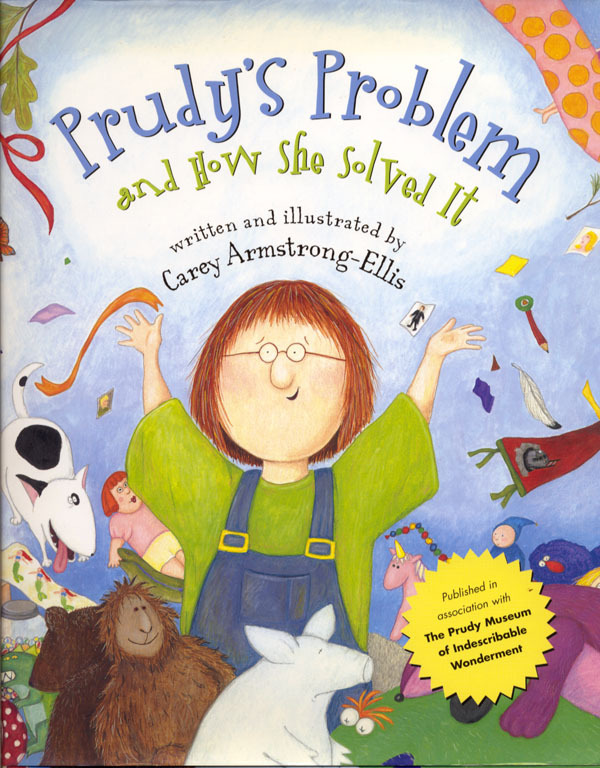 Fortunately for us, Carey’s daughter was obsessed with making collections of things (a hereditary trait, presumably), which inspired Prudy’s Problem and How She Solved It, successfully published by Abrams Books for Young Readers, a division of the noted art book publisher. She now has illustrated ten books, four of which she also wrote. Kirkus gave a starred review to the best selling The Twelve Days of Kindergarten by Deborah Lee Rose, which Carey illustrated, along with The Spelling Bee Before Recess, also by Ms. Rose. 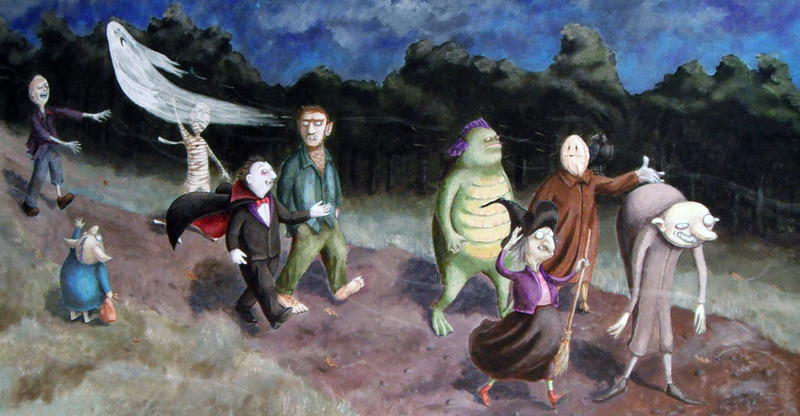 Carey is the author and illustrator of Ten Creepy Monsters. She lives in Cape Neddick, Maine. Carey is also a fiber artist, making fabric sculptures that look suspiciously like the characters in her books. Edward Gorey is one of her influences. Need I say more? JAZ: According to the copyright page of I love You More Than Moldy Ham, your editor at Abrams Books for Young Readers instigated your doing a book specifically targeted to the “tastes” shall we say, of boys and that inspired this story. Was it a stretch for you, a girl, to write such a heartwarming story about squelchy, oozy stuff? CA-E: When I was a kid I collected insects and went fishing with worms on a hook and I had pet rats and snakes and lizards. I was not really into pink frilly dresses or tutus… I have two grown daughters who were into fairy dresses for a while, but they also loved gross stories and jokes. So this was not a stretch at all! JAZ: Since you use traditional media–pencil, gouache, and ink on 140 lb. Arches–do you do any digital enhancements to the art before scanning to submit it? CA-E: I use Photoshop in the early stages to rearrange or resize things in my sketches and drawings, but not in the final art. In fact, I am so old-school that I don’t scan the finals, but ship the original art to Abrams. It does cause some serious anxiety until I know it has arrived, but that’s the way I have always done it. On occasion I have changed small things digitally after I have submitted the art and the powers that be want something changed. It certainly beats shipping the art back to me or redoing the entire picture! JAZ: Shrek! 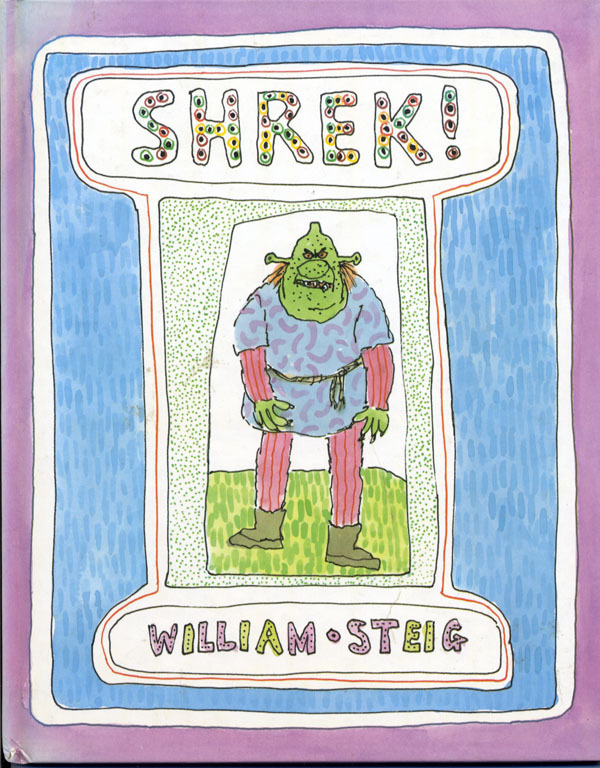 a favorite book by William Steig uses much the same appeal of the revolting. Is there some cosmic alignment between you and Mr. Steig? CA-E: Ha! Perhaps! Maybe he and Edward Gorey and Jim Henson are sending me gross-and-twisted-but-cute messages from the Great Beyond…. JAZ: There are certain recurring themes in your first and most recent books: red and white polka dotted toadstools, evocative mice, and slugs, for example. However, the parallels that stand out the most are the art parodies. Versions of the Mona Lisa appear in both books. The reference to Mary Cassatt in a story about moldy ham is beautifully idiosyncratic. Why the art of the masters? CA-E: Well, the Mona Lisa appeared in my first book because the main character visited “an art collection” and I wanted something recognizable to show that the collection was actually a museum. Then when I illustrated my second book, The Twelve Days of Kindergarten by Deborah Lee Rose, my editor suggested that I do takes on the masters in the art class spread. She mentioned that it is a great angle for teachers and fun for readers too. After that I have frequently included similar things in my books – for example, sculptures in The Twelve Days of Winter, some slug parodies in Seymour Slug Starts School, and, as you mentioned, several monster masters in Moldy Ham. My editor at Abrams loves including them, and I think it makes a fun game to figure out on what real paintings they are based! JAZ: Do you have an agent who hooked you up with Abrams? Or, how did you break in? Do you have any advice for those trying to enter the picture book field? CA-E: When I started out about 15 years ago I did not have an agent. It can be frustrating because you are in a sort of catch 22 – a lot of publishers won’t accept non-agented submissions, but many agents won’t accept non-published authors/illustrators. I made a list of publishers that would accept unsolicited submissions and went from there. That was a long time ago though, and I think it is even harder now to get your work noticed without an agent – there are SO many submissions that publishers are overwhelmed and frequently don’t even let you know that they have rejected your submission. I have signed with an agent now for a couple of manuscripts (no luck with those yet), but so far I have still only worked with Abrams. Not that that’s a bad thing at all! I guess my advice for folks trying to break in to the business is to try not to get too discouraged – everyone gets rejections! It took a long time for my first book to be picked up, and as a published author I still get rejections. You have to embrace it as part of the process (I have a Wall of Rejection in my studio where I hang all my rejection letters – everything from form letters to personal letters showing that they actually read the ms. My favorite is one that arrived FOUR YEARS after I had submitted the story! I had forgotten they even had it!) and if you are lucky enough to have an editor respond with a reason for their decision, take it to heart and see whether you think their suggestions would improve your story. And, I know that getting an agent is just as difficult as getting a publisher, but I think these days it is probably necessary. Another word of advice is to join a critique group or a professional group such as the Society of Children’s Book Writers and Illustrators. They have regional and national conventions where you can meet with other authors and illustrators as well as agents and editors – it’s great for networking! JAZ: You have tried to deflect the blame for Prudy’s extravagantly ubiquitous collecting onto your daughter, however, there is some mention of your own collecting. Let’s see… seventeen pairs of Chuck Taylors, a gazillion snowglobes, an overabundance of salt shakers….hmmm. Was Prudy’s collection of dog hair samples inspired by your daughter or you? Fess up. CA-E: Ok, ok, I confess. My daughter did come by her collecting naturally… but neither of us have ever had a dog hair collection! When I was a kid my best friend and I had a fungus collection once though. Let me just say that you shouldn’t store toadstools in a cardboard box in your dresser drawer. JAZ: Somewhere on line there was mention of your having been a museum worker. Do you care to elaborate? How did that influence your work? CA-E: When I was in college there was a natural history museum on campus. I had always loved museum dioramas – dinosaurs and prehistoric underwater scenes and such. For a while I thought that’s what I would like to do with my life, so I volunteered at the museum. (Of course there were many things I thought I’d like to do with my life that never happened!) I did some (rather bad) taxidermy, display painting, scientific illustrations, tours (ugh), and I also took care of the rats in the rat lab and the snakes. I never learned to make dioramas though… Certainly working there helped me with my detail-oriented mind set, and maybe influenced the outcome of my first book, in which a girl who loves collecting ends up building her own museum! JAZ: On the Facebook Illustrators page you asked the question: What was the grossest thing you’ve ever eaten? which elicited a repulsive list of responses. Will you be using that angle with kids at your book launch or school visits? CA-E: That was fun! And I think you took the prize for most nauseating food, Joyce, with your putrescent shark… (She refers to the infamous Icelandic delicacy, which I have tasted. Ugh.) I think kids would really get into describing their most disgusting meal and especially drawing pictures of the experience! JAZ: What is your next project? CA-E: I do not have a book project going right now, although I have several stories I am working on. Unfortunately right now they are mostly beginnings with no endings… Writing for kids is harder than most of people think! Currently I have something else keeping me busy, namely oil painting. My oils are quite different from my illustrations – they are realistic depictions of toys and figures interacting with each other. (See? I have been amassing these objects all these years for a reason!) Oh, and sometimes snack foods are involved. I had my first group show this summer at Bowersock Gallery in Provincetown, MA. It was very exciting! After I finish this group of paintings I have to start working on ornaments – every year I make two different designs and sell them at my open studios in November and at Abacus Craft Gallery in Portland, ME. 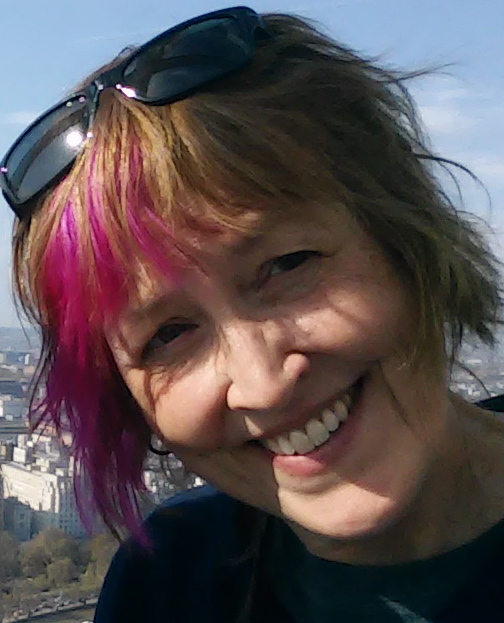 JAZ: Thank you so much for sharing your delectable drollery, and your publishing wisdom with us. CA-E: Live long and prosper! Carey can also be found at: her website, facebook, etsy. This entry was posted in children's books, Interviews, process and tagged book art, Carey F. Armstrong-Ellis, children's books, picture books, traditional publishing. Bookmark the permalink. Post a comment or leave a trackback: Trackback URL.